Data loss is a problem that affects anybody that has something to be with a computer. Whether you are an office assistant who constantly bangs on the keyboard, an occasional user or a blogger whose entire profession is based on using word-editing applications, you probably know that data loss is no friend to anybody. It can rid you off important files, including financial data, delicate business files, company records, and/or cause some other personal or business damages due to the loss of vital information. As a full time blogger, I have personally had several incidents where I nearly lost all my content-containing folders. The fact that it hasn’t happened to you is a question of ‘when.’ Here are some methods through which you can void major or minor data loss. By default, most word editing programs are designed to store files in the My Documents folder. This folder is directly attached to the hard drive that runs the Operating System. The danger in this is that at the event of any malfunction or total corruption of the OS, any data stored on that same disk may be rendered corrupt or inaccessible. As a solution to this, it is better to have an additional hard drive installed where all your documents will be stored. If this may sound too cumbersome, you can use an external hard drive to back up all your data. Owing to the advancement in technology some of such external hard drives can automatically be controlled with the help of a software program running on your PC. Hence data backup can be executed automatically. I write for a Snapily coupon and Mixbook coupon site and using this storage strategy has offered me a safe storage space while reducing the load on my computer – which improved its performance. Yes, many people will prefer to use CDs or Flash drives to backup their files. There is nothing wrong in this but remember that it requires some manual work. 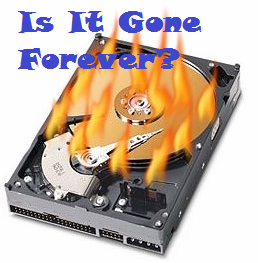 Also, remember that while an additional hard drive installed in the computer can provide you with better, safer and more stress-free storage services, such storage facilities as flash drives and CDs are prone to various damaging factors. For instance, a flash drive can get lost, easily stolen or catch a virus that may infect your PC and/or render any file it contains useless. A CD can also get broken or come with a scrambled surface after some time. You must ensure that every email attachment is thoroughly scanned before getting them down to your desktop. However, it is better never to download or open an attachment from an unidentified person; once you don’t know the sender and you are not expecting such a file, why bother? Send it to the trash immediately. On the other hand, ensure that all the files you get through email attachments are downloaded to a separate identifiable folder. Think about it, the last time you downloaded something from the web where was it sent? Isn’t that place where all your downloads go to? If you an important file that is saved with same file name as the one that you are about to download, don’t you think there are such chances of overwriting your file? Unless you are careful of the way you handle email attachments, you are not only prone to all the major computer catastrophes that a common infected attachment from your email message can cause but also the risk of losing an important file on your computer. Yes we all do! While data loss is often viewed as the loss of a major folder, important business contact or perhaps a major computer breakdown, it can also take the face of losing a portion of the contents in a word-editing file. While working on a file, it is often easier to strike those two buttons; Ctrl+S. Can you count how many times you do this; either when you want to take a pause and talk on the phone, go for lunch or perhaps when you want to get something across the road. It kind of happens without you even thinking about it. However, imagine that you are editing a particular document and may have deleted some parts before this action only to realize that you need the lump of content that you’ve deleted? To be on the safe side while working with word processors, it is better to save a version of the file under a different file name before carrying out any editing work. This way, you can easily refer to the old file when the need arises.